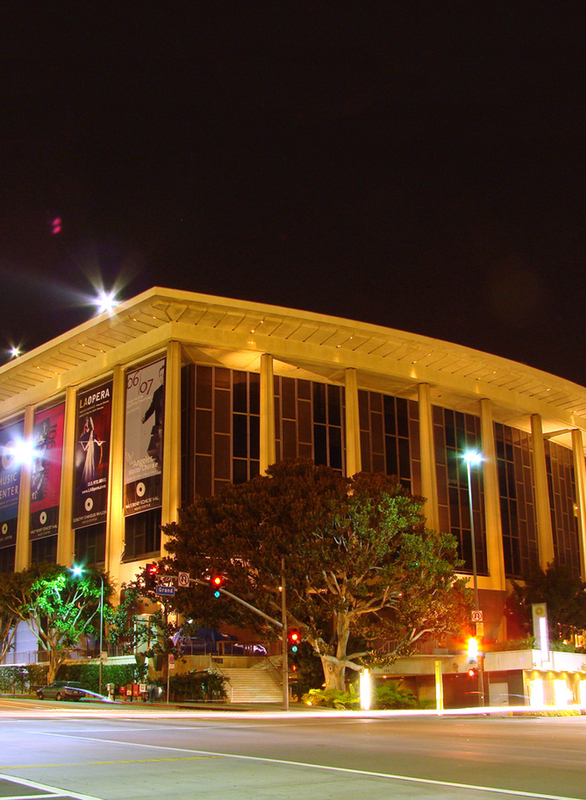 The first and largest theatre of the LA Music Center, The Dorothy Chandler Pavilion was built in 1964 and designed by Welton Becket using a “total design” aesthetic. Everything from the building structure and engineering to its interior design — lighting fixtures, typography, carpeting, restaurant china and flatware — were designed by the firm for a unified and integrated look. The interior of the main theatre is an elegant five story space draped in honey-toned onyx and features 78 crystal light fixtures including three stunning chandeliers each made from 24,000 individual pieces of hand-painted crystals from Munich.